Pet owners who are frustrated by their dogs barking, acting aggressively, jumping around, or doing damage around the house have a new solution with SENTRY Stop That! Noise and Pheromone Spray for Dogs. 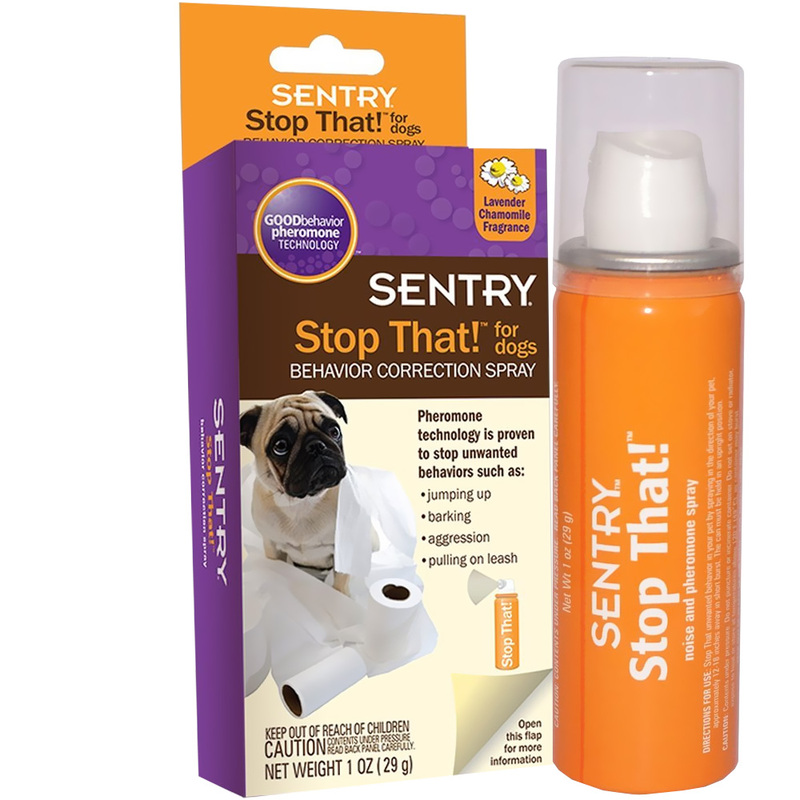 This spray can effectively interrupt an undesirable behavior, and it can even teach dogs to give up the behavior. Pheromone technology refocuses your dog's attention. The spray combines noise and pheromones to stop unwanted behaviors immediately. The noise is a sharp hiss of air, while the pheromone used imitates a natural pheromone that helps distract pets and refocus their attention. The combined effect of the noise and the pheromone lasts longer than other techniques of distracting or refocusing dogs. The spray will also help teach your dog to avoid the unwanted behavior in the future.